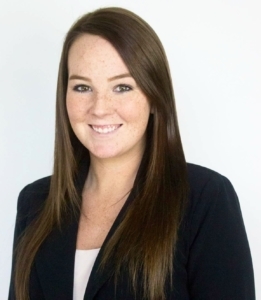 THF congratulates Megan Keplinger on joining the Tallahassee Network of Young Professionals Board as the Marketing Chair. The Tallahassee Network of Young Professionals was established with the goal to foster personal and professional growth by connecting members through fun and engaging activities, while simultaneously offering career enhancing opportunities. Its mission is to make Tallahassee a city where young professionals choose to live, work, play, and stay. Megan is a Marketing and Business Development Coordinator at THF. She attended Florida State University and received her bachelor’s degree and master’s degree in marketing. Megan has been providing marketing and business development services for THF since she joined in 2016. Megan’s responsibilities include proposal writing, planning and executing events, creating industry related blogs, generating leads, and helping grow the firm’s not-for-profit presence in the Tampa market. Megan is a member of the Marketing Maniacs, Tallahassee Network of Young Professionals, and the Emerging Leaders of Tampa Bay. THF congratulates Megan on her new board position.